Jana Boušková, the world-class harpist of the Czech Republic, and the chief soloist of Czech Philharmonic Orchestra will return to Japan in April 2019 for the first time in two years. Through her strong hope, KAZELFA CORPORATION organizes Jana Boušková ‘s Harp Recital in 3 cities; Nagano, Aichi and Tokyo. Special sponsor: Aoyama Harp Co.
For more information, please visit recitle's official website. Jana Boušková graduated from the Prague Conservatory and Ostrava University where she studied in the class of prof. Libuše Váchalová. She continued studying at the prestigious Indiana University with prof. Susann McDonald. Jana Boušková is the only Czech harpist who won the world’ s most important and acknowledged international harp competition – in 1992 in the USA. In the same year she was awarded the 2nd prize in the competition with the oldest tradition in the world in Israel as the only Czech artist to be invited ever. 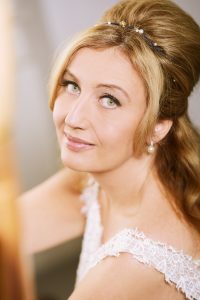 In 2004 she was awarded the female professional award out of ten most outstanding women of the Czech Republic, which was the first award given to classical musician. The awards ceremony was held in Prague Castle with attendance of the President at the time Mr. Václav Klaus. Since 2000 she has been a member of the Artistic Board of the Academy of Performing Arts in Prague and the Czech Philharmonic Orchestra. She has recorded more than twenty CDs for Czech and international labels, radios and television.